A recent World Bank report on climate change has warned India of serious consequences on agriculture and crop patterns if greenhouse gas emissions continue to rise in a business-as-usual scenario. The report analyses the impact of climate change on agriculture production, water resources, coastal ecosystems and cities across three regions – South Asia, Sub-Saharan Africa and South East Asia. Global temperature will rise to 2°C above that of the pre-industrial era within 20-30 years and by 4°C by the end of the century unless countries make joint efforts to curb emissions, says the report, Turn down the heat: Climate extremes, regional impacts and the case for resilience. The impact of this global warming will be severe for India. The north-west of the country will face frequent droughts. Aggravating heat stress would affect dry season crops, such as wheat, barley, mustard and other Rabi crops, in states of West Bengal, Bihar, Jharkhand, Odisha, Tamil Nadu, Kerala and Karnataka. According to the report, global temperature has already risen by 0.8°C and there has been a tenfold increase in the surface area of the planet experiencing extreme heat events since the 1950s. A further rise will mean unprecedented heat waves, more intense rainfall and floods, a significant threat to energy production and a global food crisis. Crops like wheat, rice and maize will have a hard time adapting to a warmer climate. This will potentially leave 25 to 90 per cent of the population in sub-Saharan Africa undernourished by the 2050s. Events of heat extremes will increase by several times across South Asia. North-western India, Pakistan and Afghanistan will face recurrent droughts and shortage of drinking water. 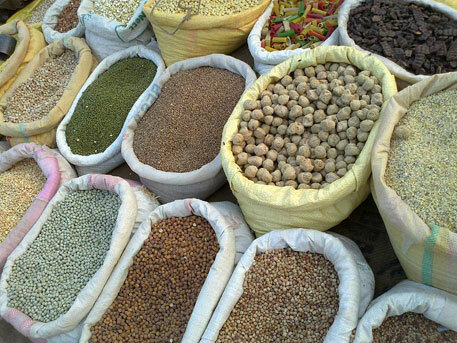 The region would have to increase its food import by more than double by 2050 to meet per capital calorie demand. According to the report, negative effects of higher temperatures have been observed on agricultural production. Recent studies indicate that since the 1980s global maize and wheat production may have reduced significantly compared to a case without climate change. The report estimates that crop production would have increased by 60 per cent in the South Asia region in a scenario without climate change. “Above the 2°C level, crop yields are projected to decrease around 10-30 per cent,” says Erick C M Fernandes, who led the study. “Decreasing food availability is related to significant health problems for affected populations, including childhood stunting, which is projected to increase by 35 per cent compared to a scenario without climate change by 2050. Climate change will have long-term consequences for the populations,” says Fernandes. Effects of higher temperatures on the economic growth of poor countries have also been observed over recent decades, suggesting a significant risk of further reductions in economic growth in poor countries in the future due to global warming. The impact of global warming might be offset in part, says Fernandes, by low-cost adaptation measures such as CO2 fertilisation effect (in which plants absorb CO2 from the atmosphere and convert it into biomass). The report was commissioned by the World Bank’s Global Expert Team for Climate Change Adaptation. Â´â•—â”Andhra Pradesh receives rainfall in two monsoons. After the Intergovernmental Panel on Climate ChangeÃ”Ã‡Ã–s Assessment Report 4 (AR4), published in 2007, there were several sensational reports published by several international groups, including World Bank, Oxfam, CGIAR, etc. They based their arguments on the AR4 predictions on global warming and the consequent impacts on agriculture and weather Ã”Ã‡Ã¶ rainfall, cyclonic activity, sea level rise, glacial retreat, etc. However, some of these were exposed at Copenhagen Summit in December 2009. After this, IPCC withdrew its conclusions on Himalayan glaciers and Al Gore withdrew his conclusion on Greenland ice-melt. Recently, IPCC presented its summary of AR5 draft wherein it expressed that natural variations in climate will play a vital role in the next two decades. Also, it summarized that global warming has not shown any significant influence on hurricanes, global precipitation, and extreme weather. However, several agencies are trying to sensationalise with expected impacts under different temperature scenarios, like 2â”¬â•‘C, 4â”¬â•‘C etc. The fact is that the observed global temperature showed a linear increase by 1â”¬â•‘C by 2100 from 1880. On this superposed a 60-year cycle varying between -0.3â”¬â•‘C to +0.3â”¬â•‘C (natural variation). So far the increase is around 0.5â”¬â•‘C, and between 1997 and 2011, global temperature showed a flat pattern Ã”Ã‡Ã¶ no change Ã”Ã‡Ã¶ though carbon dioxide increased linearly reaching 400 ppm. Let me give an example of Hyderabad temperature variation (in â”¬â•‘C) from 1931-1960 normal book: May average 38.7â”¬â•‘C - December average 27.8â”¬â•‘C = 10.9â”¬â•‘C; May extreme average 42.4â”¬â•‘C - May average 38.7â”¬â•‘C = 3.7â”¬â•‘C; December extreme average 30.6â”¬â•‘C Ã”Ã‡Ã´ December average 27.8â”¬â•‘C = 2.8â”¬â•‘C. That shows our agriculture system works under such a wide temperature variations. In tropical countries moisture is the limiting factor for crop production and extratropical countries temperature is the limiting factor. The climate change consists of natural variations like systematic variations [cyclic variations] and irregular variations [extremes] and man induced variations, such as ecological changes associated with land use and land cove changes and global warming associated with greenhouse gases plus several other factors, including urban heat-island effects. Our forefathers developed farming systems that are suitable to systematic variations for different soils and associated temperature regimes Ã”Ã‡Ã´ during dry years & black soils temperatures will be higher. These are modified by ecological changes locally. In the case of southwest monsoon rainfall, at all-India level, followed a 60-year cycle. Our observed data showed since 1871 two 60-year cycles were completed and we are in the third cycle since 1987. In this the first 30 years form good monsoon in majority of the years. This will end by 2016 and follow the drought prone 30 year period from 2017 on many years Ã”Ã‡Ã´ during this period temperatures on many years may be higher than normal due to dry weather Ã”Ã‡Ã´ in 2009 it was higher by 0.9â”¬â•‘C. In the case of Andhra Pradesh this is different as it receives rainfall in two monsoons. So far there is no change either in monsoon onset pattern or monsoon rainfall pattern. Global warming has not affected the monsoon pattern so far and also we donÃ”Ã‡Ã–t expect this even by 2100 as there is no reliable information to accept World BankÃ”Ã‡Ã–s hypothetical predictions based on model simulations. When we talk of coastal cities, so far there is no global warming related to sea level rise or glacial retreat in Himalayan zones? The fact is we are destroying our coastal zones to meet some peopleÃ”Ã‡Ã–s greed and as a result coast lines are breathing severely. In the case of Sundarban Mangrove belt, the silting affected this zones submergence. Same is the case with Bangladesh coast line. Last few days Himalayan disasters are associated with man-made factors only. In India, the water crisis is more associated with pollution and extraction of groundwater without recharging and large part of the water entering the ocean. In the case of food, we are producing in excess and wasting Ã”Ã‡Ã´ loss & waste Ã”Ã‡Ã´ 40 to 50% of produced food. It is 30% globally. Since 1984-85 our technology on crop production reached a plateau as our research priorities shifted to serve vested interests. Our progressive farmers showed remarkable growth in production under organic traits. So, India must look at such a technology and better water management that gives sustainable production under climate change, more particularly natural variations. The reports brought out by organizations such as World Bank serve only vested interests and not the Indian interests.